Esterol 122 is a fatty ester derived from natural oils that has excellent solvency properties, is readily biodegradable and has low toxicity characteristics. CHARACTERISTICS: ESTEROL 122 is a pale yellow oily liquid with a pleasant fatty ester odour. ESTEROL 122 as a fatty ester product has excellent solvency powers and hence can easily be formulated with a wide range of oils, surfactants and oil soluble materials. Based on High Oleic Oil, its fatty acids are predominantly oleic (approx. 80%) which results in liquid product which has superior oxidative stability when compared with other fatty esters. ESTEROL 122 is nonvolatile and is safe to handle. Natural or synthetic antioxidants can be added to ESTEROL 122 on request which will further increase its oxidative stability. ESTEROL 122 contains less than 0.1% of methyl esters enabling the use of a fatty ester where methyl esters may be undesirable. 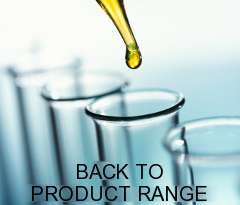 Low Methyl Ester content enables use where methyl esters are undesirable. Oxidative stability ensures a longer life or a wider range of conditions before any natural deterioration is observed.